Your home is your castle and you want it to be comfortable all year long. If your heating and cooling systems aren’t working correctly, that comfort can be hard to come by. You want to be able to rely on your HVAC, but if it doesn’t work, there might not be anything you can do. 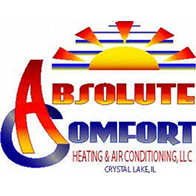 At Absolute Comfort, we can diagnose and repair any furnace or AC problem you may be having, and have helped many people in Crystal Lake enjoy a comfortable home during every season. When you need us, we’ll be there! Older HVAC systems can require quite a bit of upkeep, and it may eventually make sense to simply replace your furnace or air conditioner, instead of constantly repairing them. As your service provider, we will let you know what we think is best for your home – repair or replacement. If your home could benefit from a new, more energy-efficient system, we’ll help you find the best options. If your current system is only a few years old and just needs regular maintenance, we can provide that as well. Above all, we want you to be satisfied with the level of service and expertise that you receive. If your HVAC systems are in good shape, but you need water heater repair or installation, we can provide the right service. We can help you choose the best option, and we’ll take care of everything your home requires. 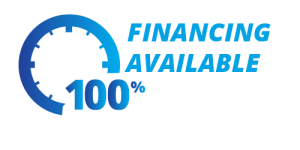 When your furnace or AC isn’t working properly, or your water heater isn’t providing enough hot water, don’t fret – contact us right away for exceptional service!